A&G manufacture precision engineered components for leading Aerospace, Defence, Formula 1 and Oil and Gas industries. 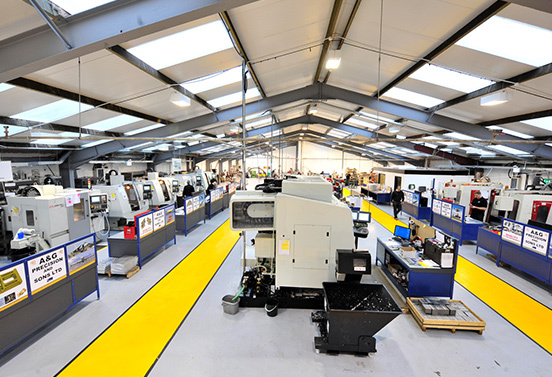 Founded by managing director Arthur Pinder in 1989, A&G Precision now employs over 60 staff and is an integral part of the UK supply chain for precision machined and fully treated components. As a fully accredited and approved supplier, we continue to invest substantially in new technology and increased capability, allowing us to dedicate capacity to customers seeking long term supply agreements. We ensure such agreements remain competitive and attractive through our long-term commitment to customer service improvement and staff development. In addition, A&G continues to offer a high level of service in large batch and series production programmes for our defence and aerospace customers. A self-financed, family-owned business, we are proud of our highly skilled team who deliver a quality product and service from our state-of-the-art facility near Poulton-le-Fylde in Lancashire. Just minutes from the main motorway network, A&G is strategically located to supply regionally, nationally and internationally. 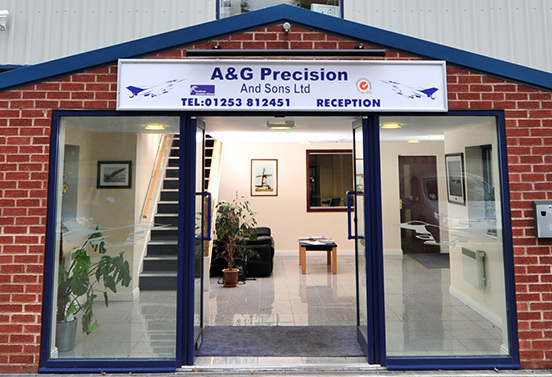 A&G manufacture precision engineered components for leading Aerospace, Defence, Formula 1 and Oil and Gas industries. We have over a quarter of a century experience of supplying Original Equipment Manufacturers (OEMs), together with supplying Tier 1 and Tier 2 customers, from our base in the North West of England.